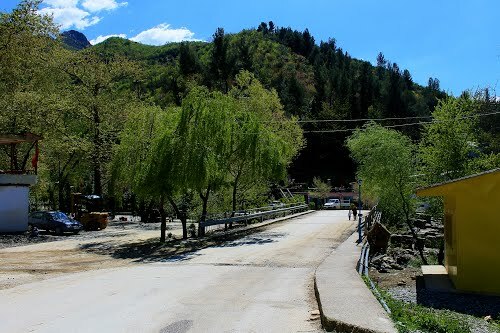 From Corovode towards Berat in 17 km you can get to Bogove to see the waterfall of the same name. The road, in the process of finalizing the work of asphalt is still largely unpaved, but for the bike is smooth and pleasant, being able to enjoy the surrounding landscape along the river Osumi, with the ability to cross at some points via suspension bridges. A few villages and many small companies engage in the stonework along this road. When you reach Bogove, you can have a snack, at many of the tourist bars. Leaving the bike in custody at the bar restaurant, take the path about 30 minutes due east you will find the waterfalls. Very spectacular, performs a jump of ten meters falling in a big pool where you can go to swim. The place is very nice, well worth a visit and to relax in the shade. In Bogove there are some restaurants with the possibility of overnight stay, handy if you want to explore this area very interesting from a naturalistic point of view. The reserve of Bogove is one of the most beautiful natural attractions of Skrapar, with an area of 350 hectares. The Forum of the Dragon, near the source of Bogove: when rainfall increases the level of the source, taking water out of the well with strength, like the mouth of a dragon, as the legend says.